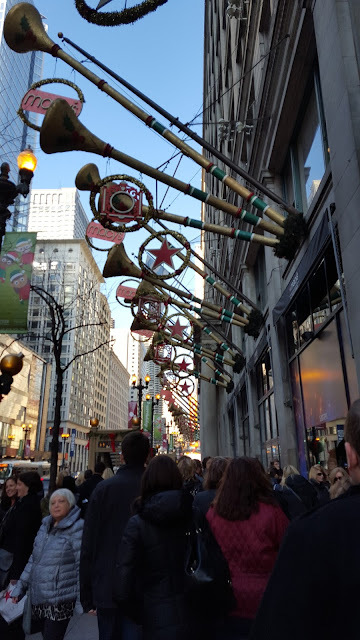 This weekend Kevin and I made our now yearly trip to the Christkindlmarket with our families. Usually we just hang out at the market the entire but because of the amazing weather today everyone and their mother was out! 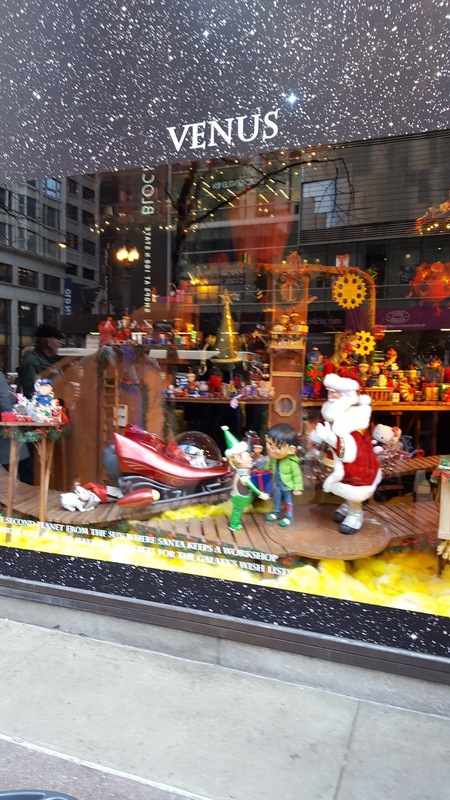 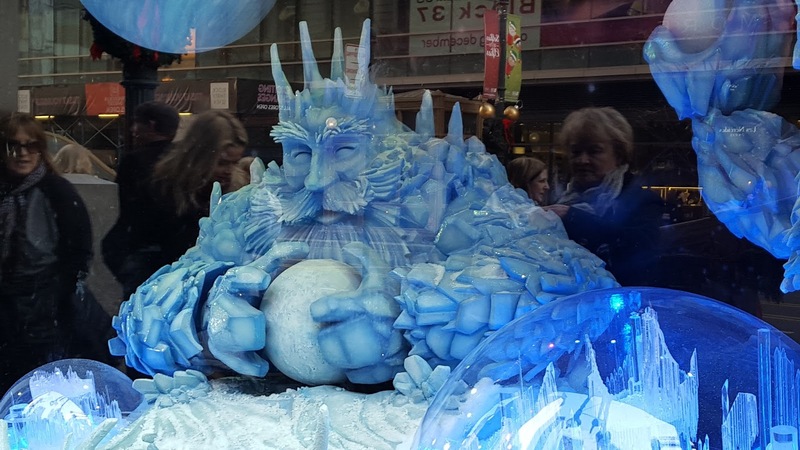 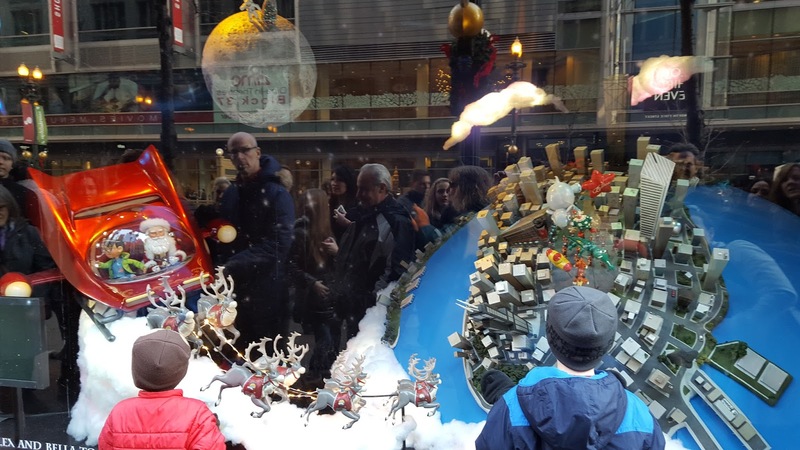 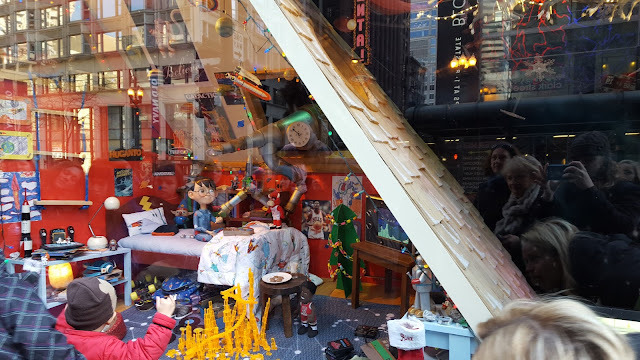 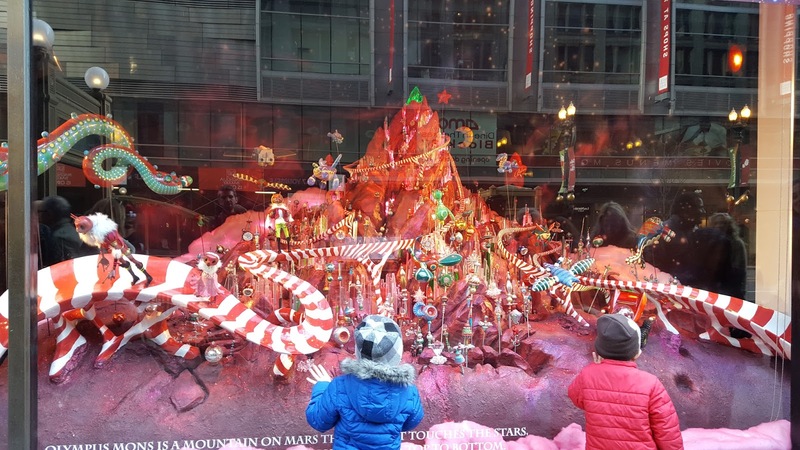 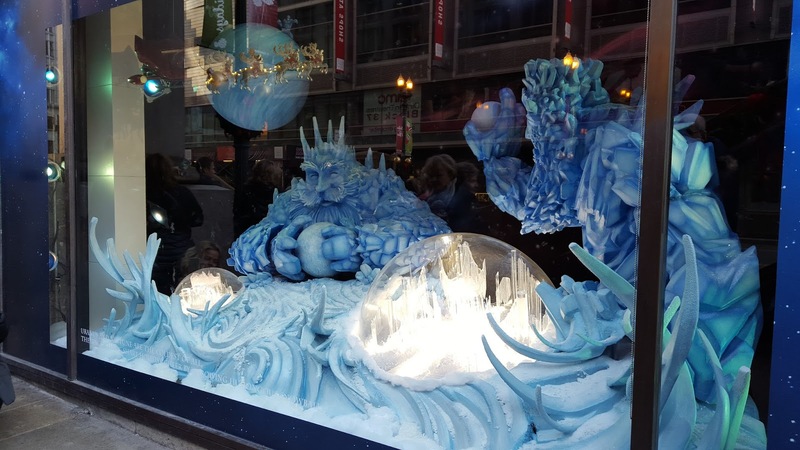 We decided to head a block east and check out the Macy's on State Street Christmas windows. This years theme was "Santa's Journey to the Stars," and traces the adventures of Alex, a boy who receives a magical telescope that enables him to experience the wonder of Christmas on other planets before landing back on Earth at the Macy's Thanksgiving Day Parade. 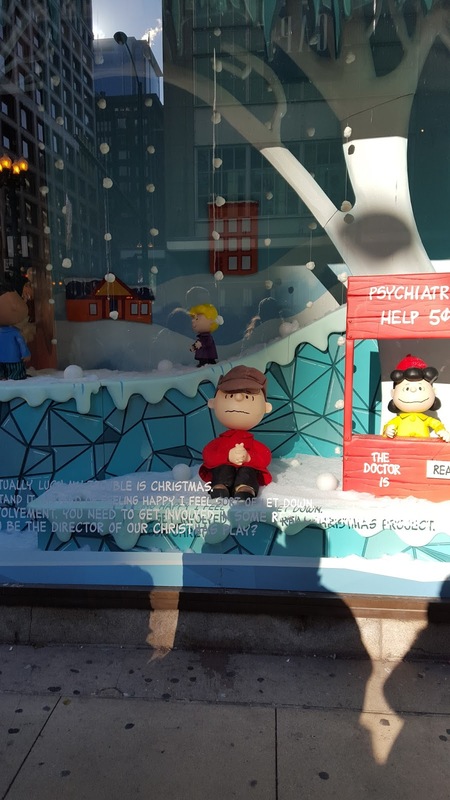 There was also a couple of random Peanuts windows. 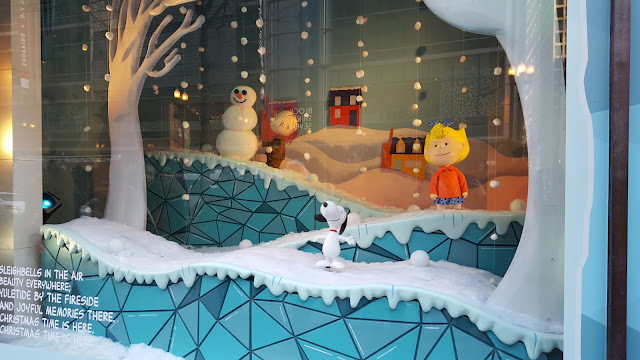 Not gonna lie, I love Peanuts so those were definitely my favorite windows but the other ones were fantastic as well. 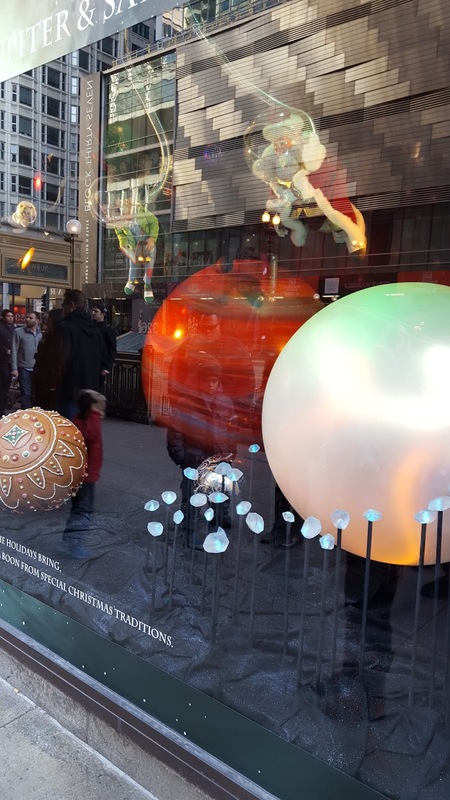 Between the huge groups of people and the crazy amount of reflection on the windows my photos weren't quite as good as I wanted. Might have almost tripped over a little kid to get one of the photos ... whoops!